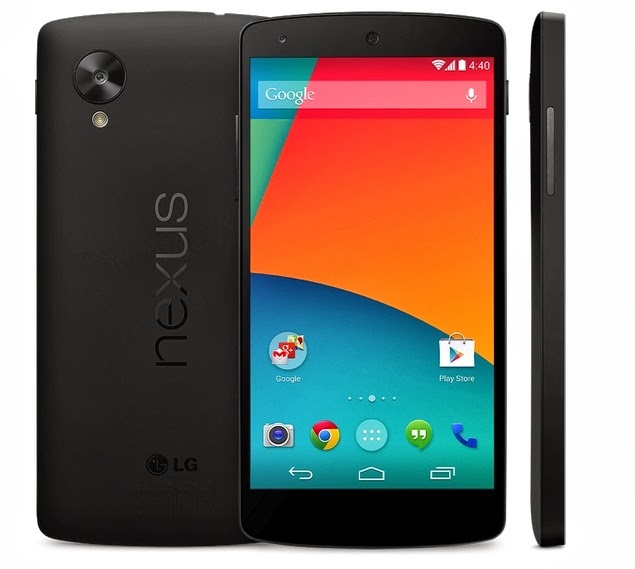 Home Google Nexus 5 Leaked Pics Nexus 5 Official image leaked with its price. Nexus 5 Official image leaked with its price. Nexus 5 has been leaked many times before but this time it was a terrible blunder buy its own creator Google. Yes Google accidently made Nexus 5 avaiable for sale revealing everything about it before official launch. It was later immediately pulled out of the Play store when Google realized the blunder. But the damage was done it not only revealed its avatar but also the price of 16 GB model which was the same price as Nexus 4 i.e. $349. Nexus 5 has a plastic back compared to the classy glass in the Nexus 4 and it seems that the back cover will be removable in this version. Nexus 5 will have a huge hardware upgrade with the latest Android 4.4 KitKat. The accidental leak is a sure indication that it will be available for order in a couple of days. It also indicates that there will not be any 8 GB variant which was there in Nexus 4. Before its officially available enjoy this officially leaked picture.